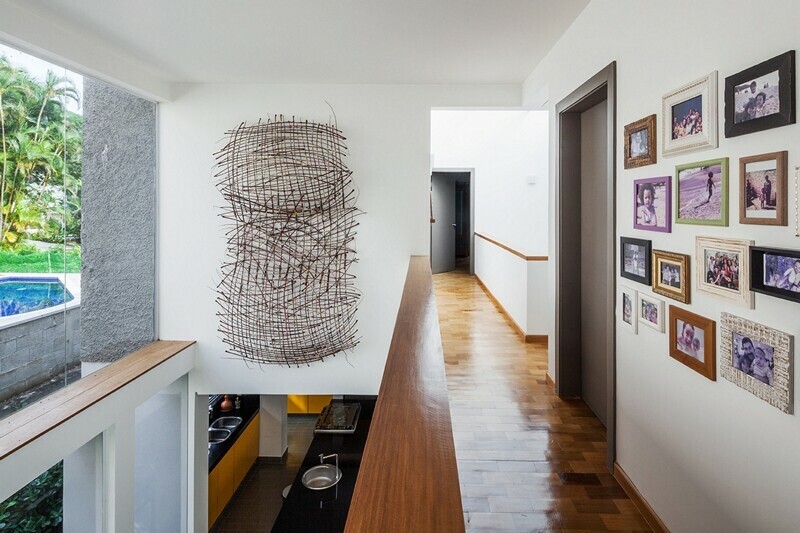 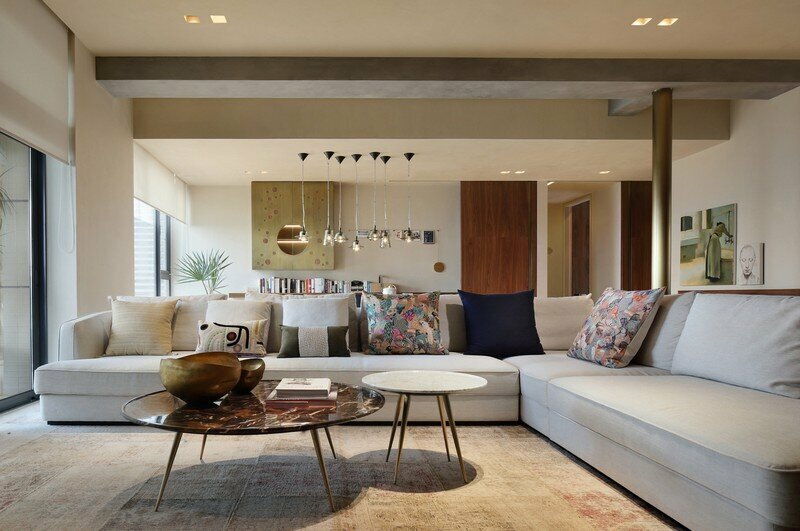 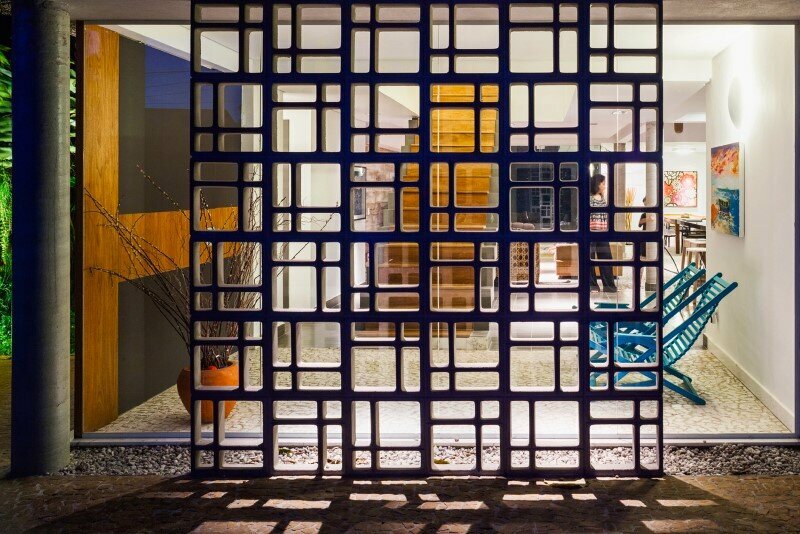 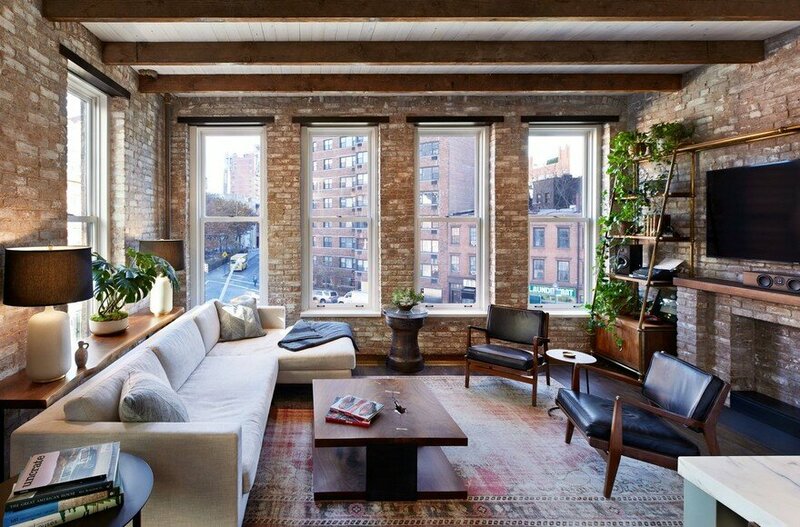 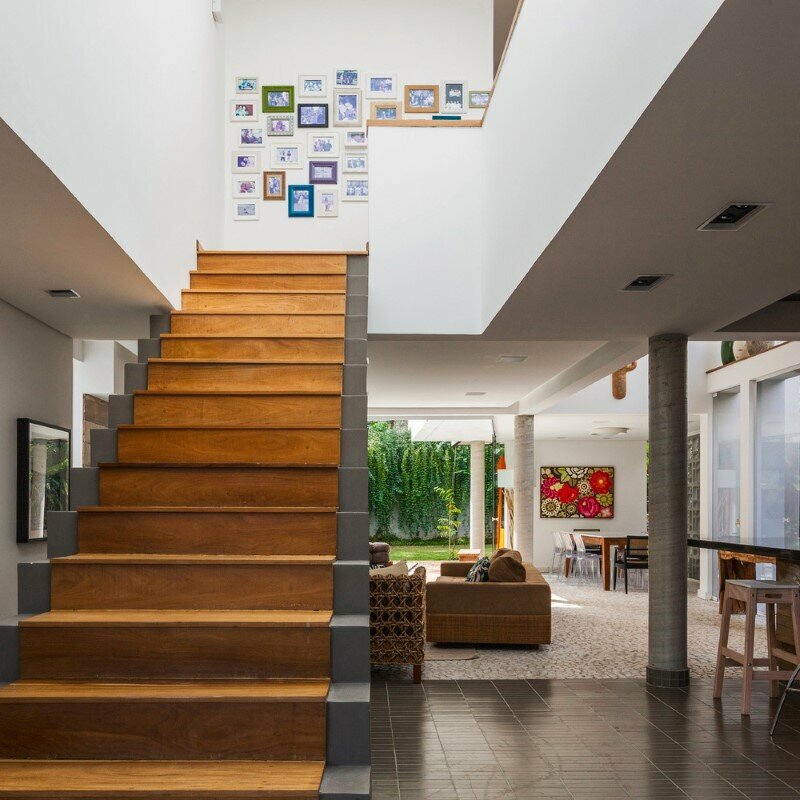 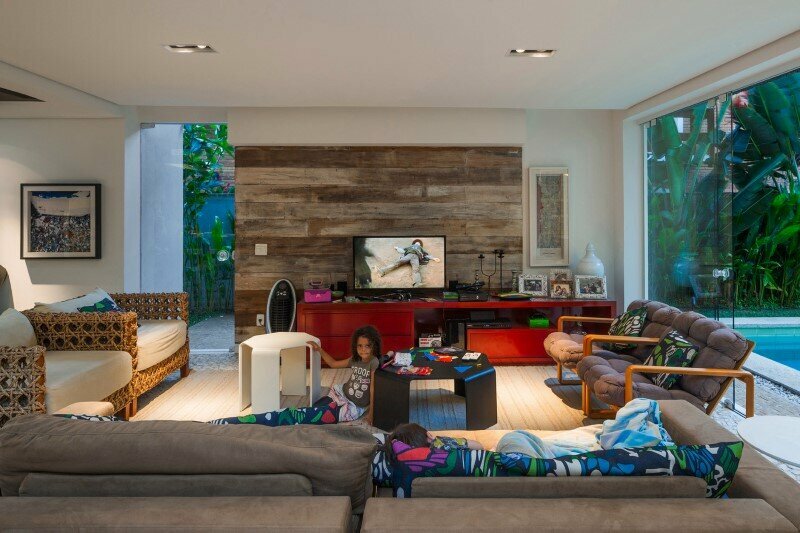 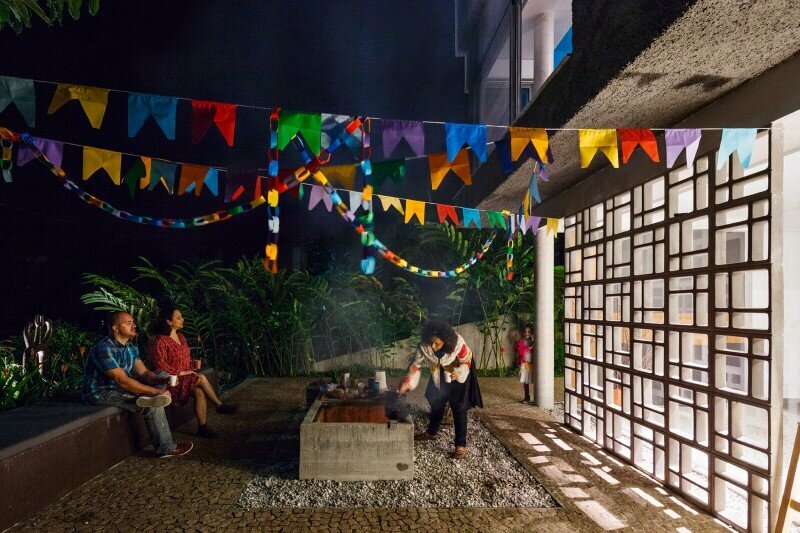 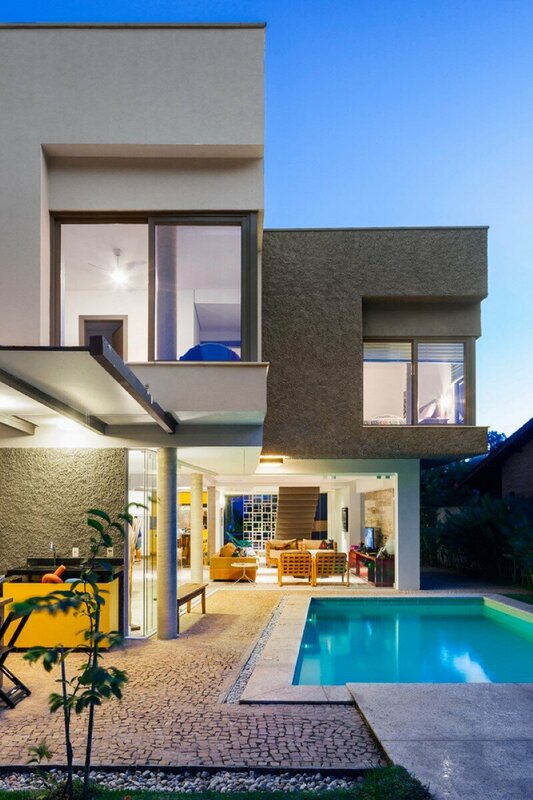 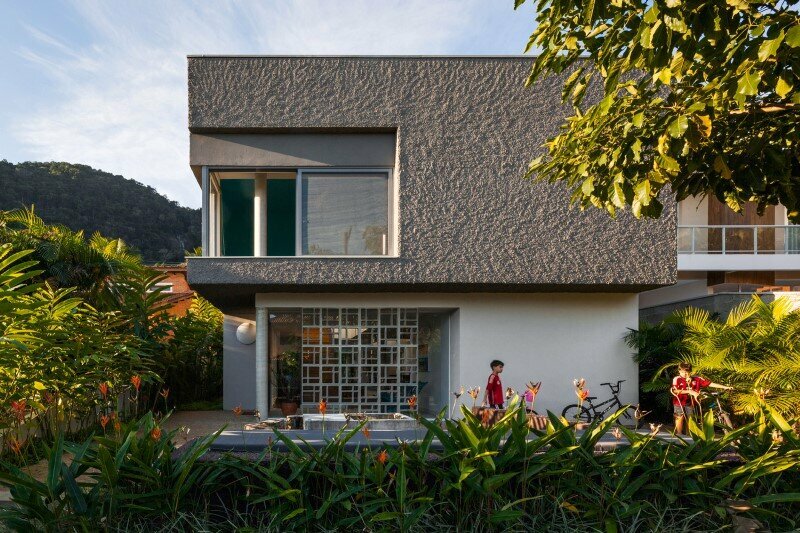 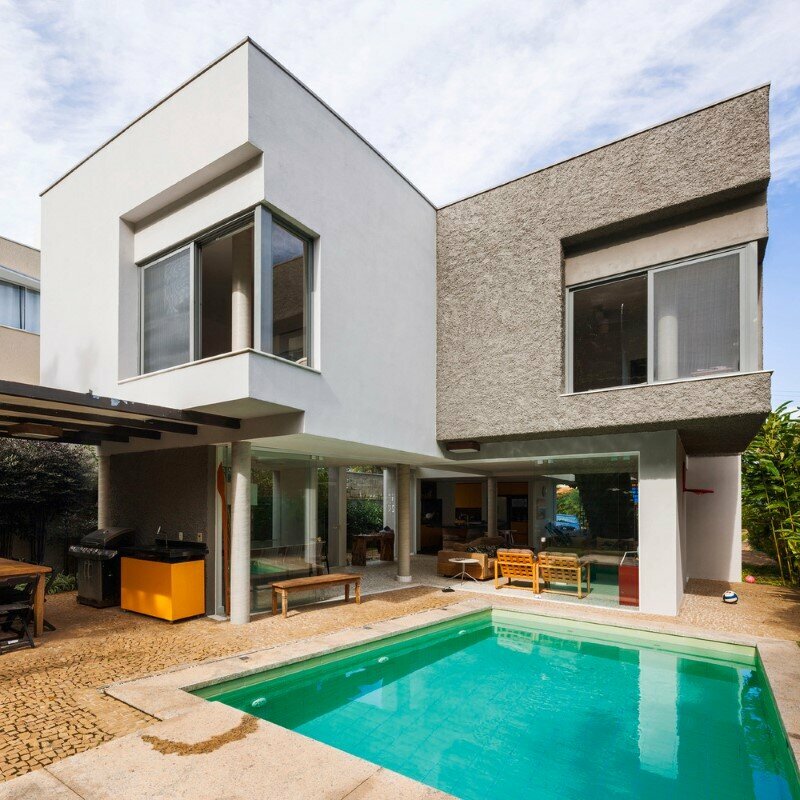 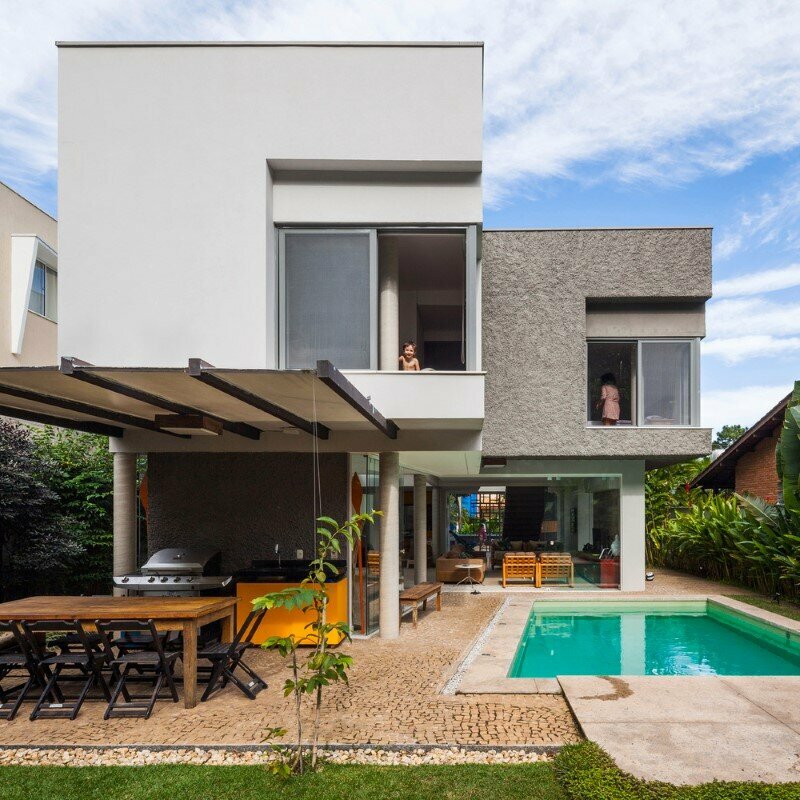 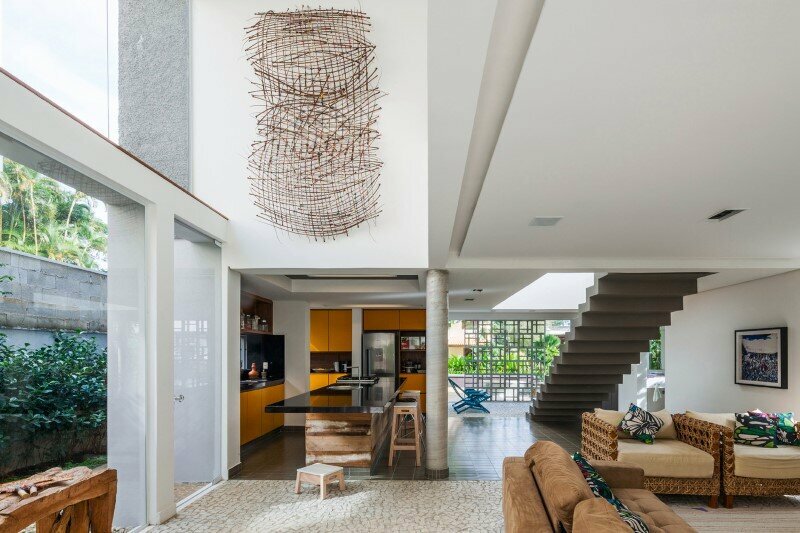 Campanella House is a family home designed by Brazilian studio Campanella Arquitetura. 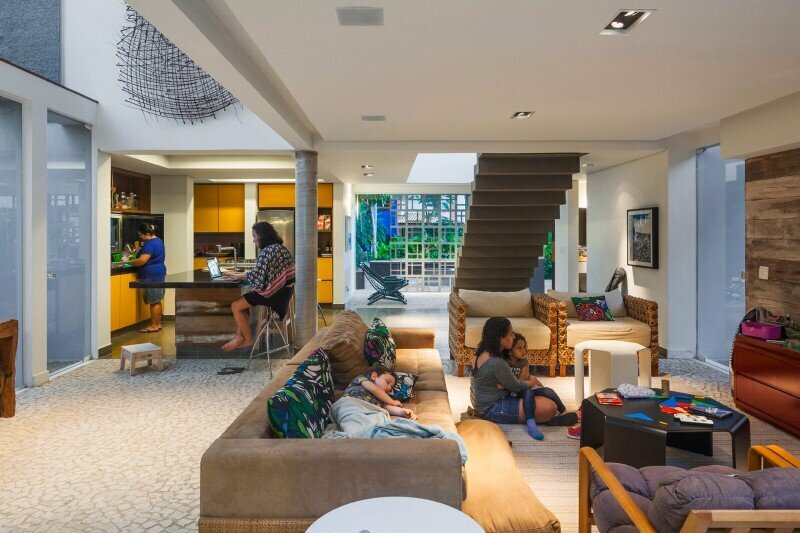 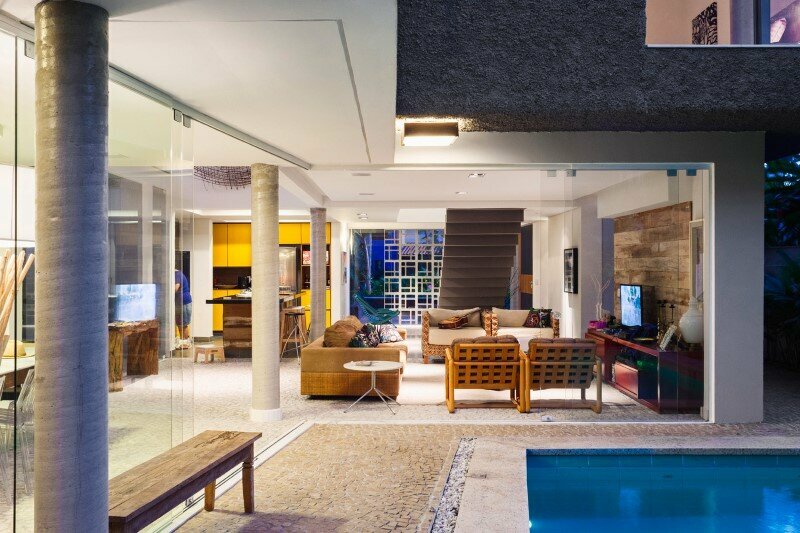 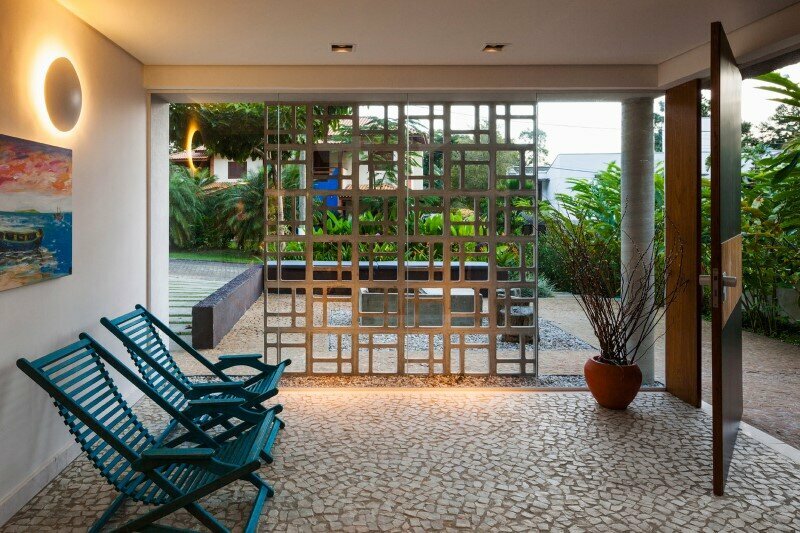 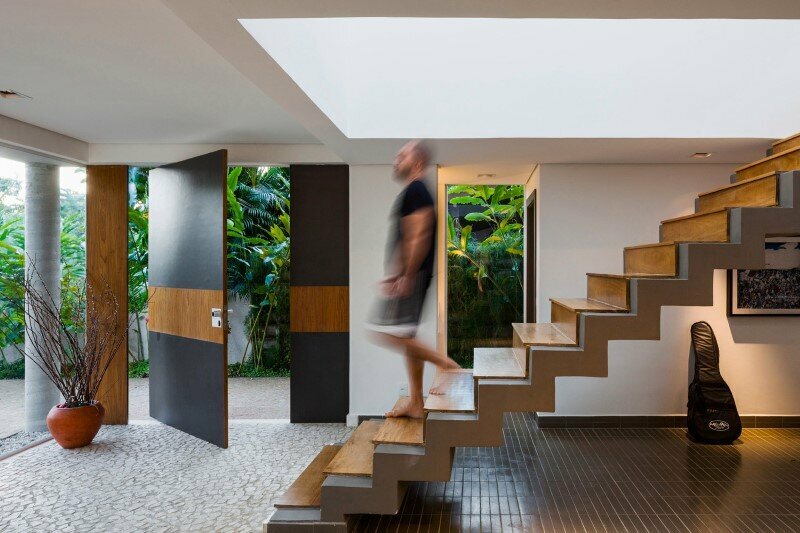 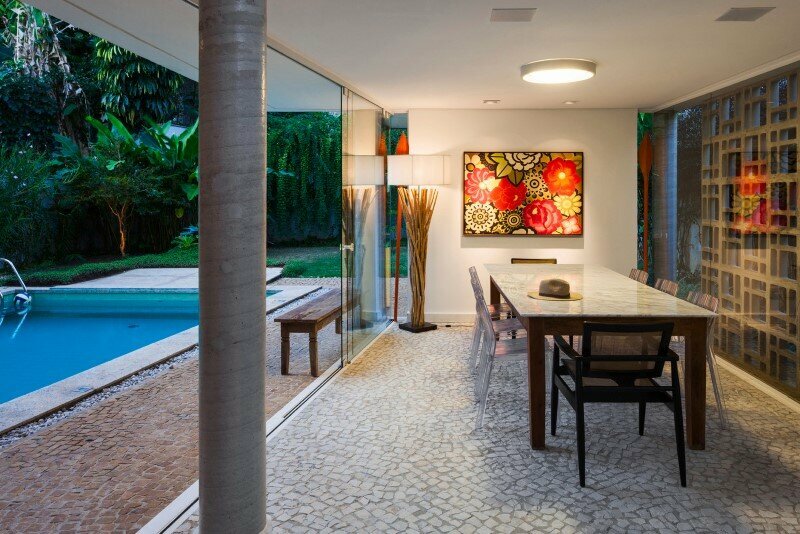 Description by Campanella Arquitetura: The Campanella’s house, located at Morada Garoupas condominium on the beach of Toque Toque Pequeno (Sao Sebastiao), is able to combine simplicity and comfort in spaces always very brightly lit through large glass panes. 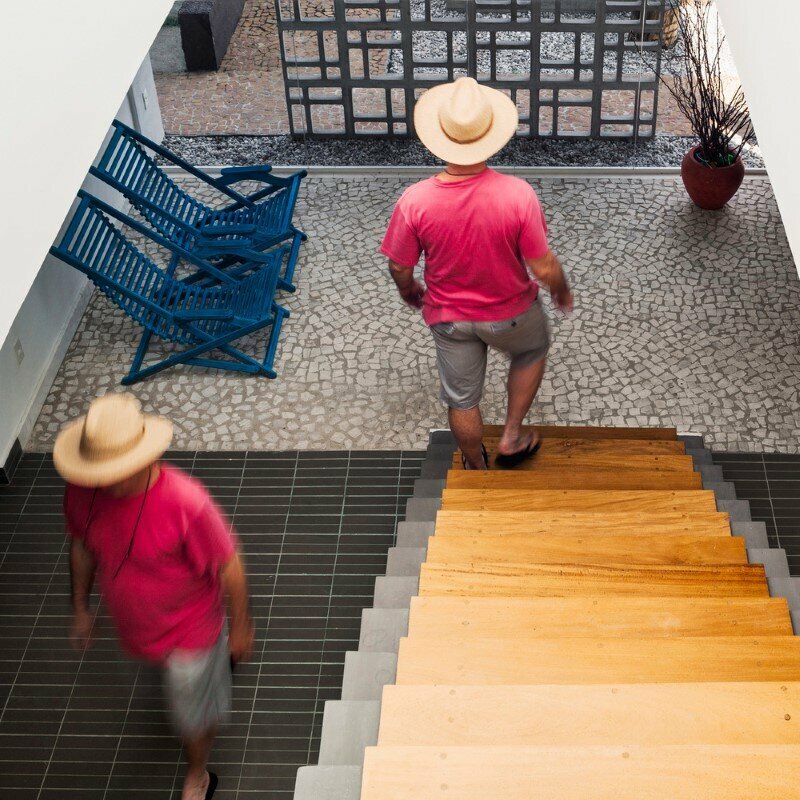 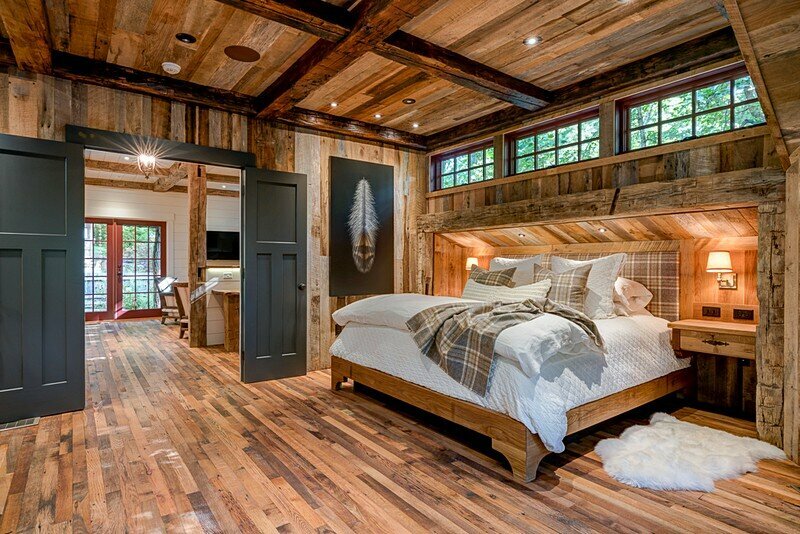 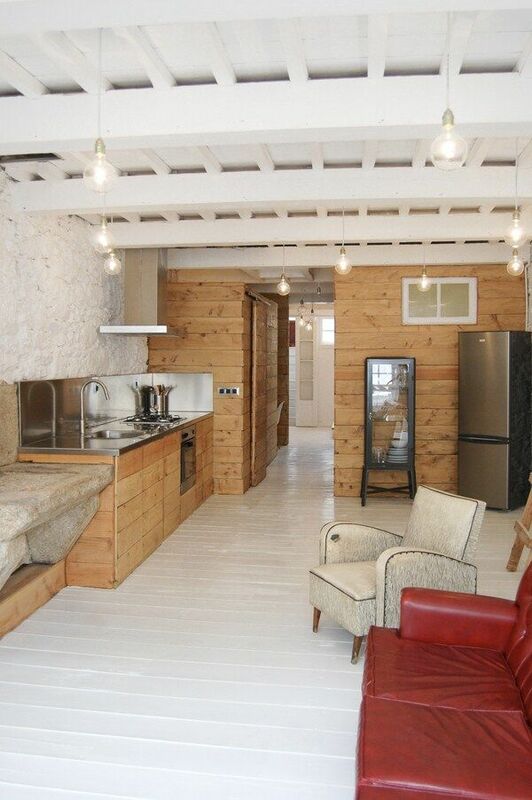 Carrying out the work with its own team of workers, Janaina and Wendel Campanella – authors of the project and owners of the house – patiently took care of the construction, which involves, for example, several floor transitions. 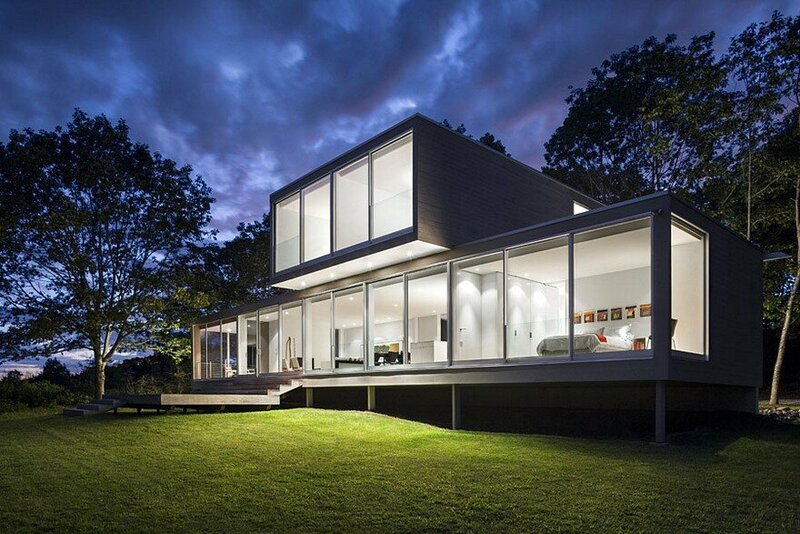 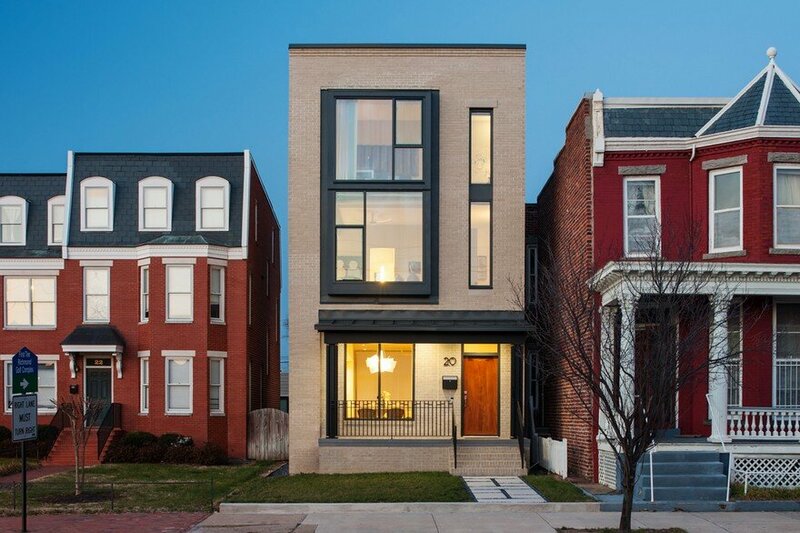 If the front view of the house looks like a single block divided only vertically between a retreated ground body with white and smooth walls and an upper body that swings over the porch of access made of gray walls with plastered thick mass, by the rear view instead, the house opens into two different bodies upstairs in the shape of “L”, as they disappear in glass planes that slide on the ground floor.